Oh Fat Tony, whoever you are, here we are again to sample your wares with a sense of glee. 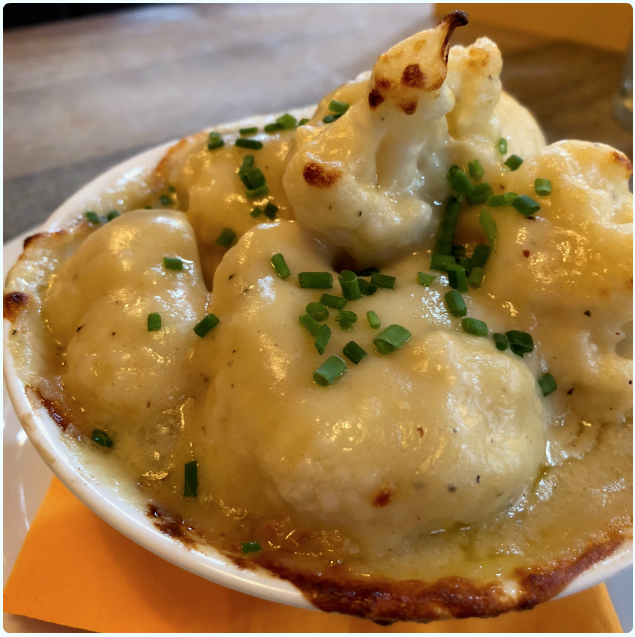 The last time I was asked to review Fat Tony's at Kosmonaut, I was very sure indeed that I had developed gout over the course of the meal. Feeling invincible after successfully avoiding it, I threw caution to the wind in a triumphant return. This time it was the turn of the roast. I was already hoping that the beef would be somewhat like that beautifully pink steak on the poutine from last time, glistening in the er... spotlights above the booth we sat in. Anyway, enough about whimsical memories, and to the food. There we were, successfully parked nearby and feeling like winners because we were not drenched. We were greeted by Louise who it turns out is utterly wonderful in every way. No surly Sunday afternoon stares from this one, she was chirpy and friendly, despite mentioning she had been on shift the night before. She was only too happy to make some brilliant beer suggestions too, based on a few preferences I gave to her. I have it on good authority that Fantasma by Magic Rock, and Heathen by Northern Monk were great choices. We liked her a lot. 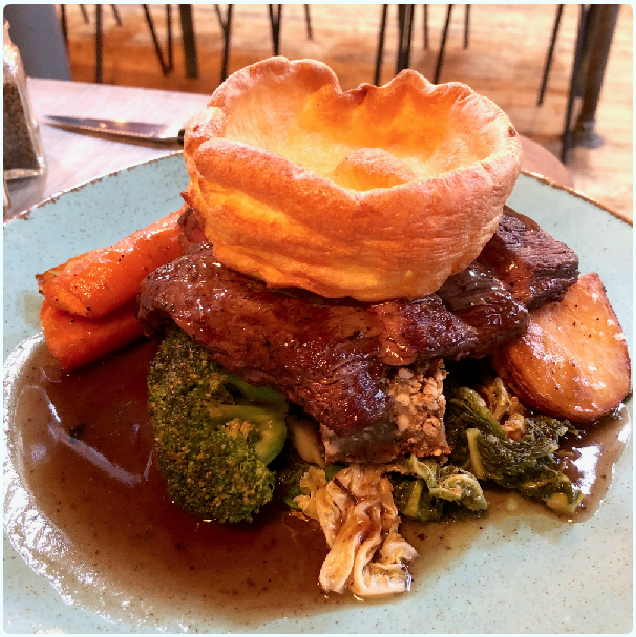 Beef roast - served with cabbage, carrots, broccoli, stuffing, roast potatoes and a Yorkshire pudding: This is more like a massive steak on a pile of potatoes, stuffing and vegetables, crowned with a Yorkshire pud. It was what I had been dreaming of since booking the table. 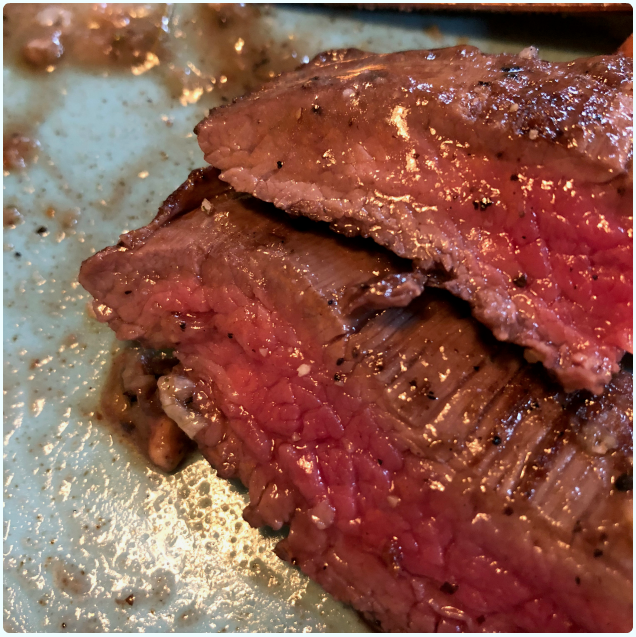 I took a close up of the beef because I didn't feel the picture below really showcased its magnificence. Major points for those sweet rosemary roasted carrots. Chicken roast: A chicken version of the above, with the same accompaniments. The chicken was moist and well seasoned, and came with a tasty chicken gravy. Only comment is that he would have liked a little more of this liquor. Cauliflower cheese: The only sides available on Sundays are sweet potato croquettes and cauliflower cheese, however croquettes were off the menu on this particular day. Not to worry though, as you can see, we had more than enough food. Served al dente and smothered in cheese. I may not be a food critic, but I eat a lot, and frequently, so I am declaring myself qualified to tell you that this roast is pretty darn good. 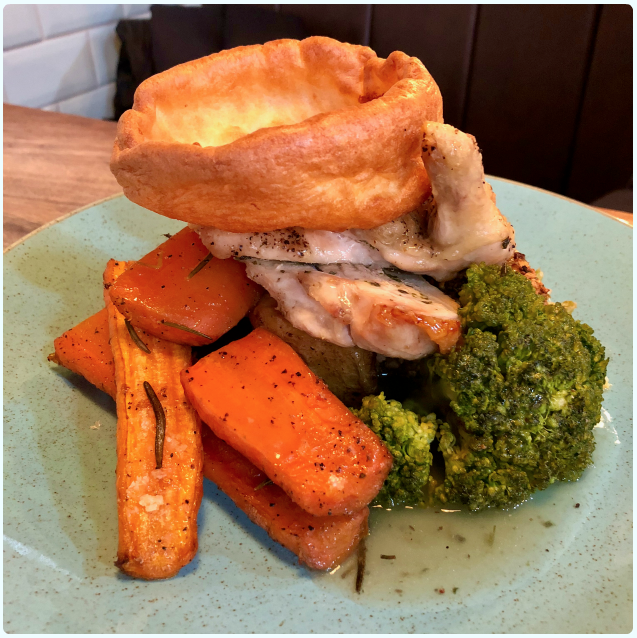 We've done quite a few country pub style roasts recently, which still have a special place in my heart (well arteries anyway), but we both commented that this felt more 'restauranty' without the formal atmosphere. Go to Fat Tony' at Kosmonaut for a chilled Sunday afternoon, filled with comforting food, great beers and friendly staff. I feel at home here. Disclaimer: I was asked to review Fat Tony's and they knew I was coming. However, I have eaten here when not reviewing, and I can confirm it's consistently great. I was under no obligation to say nice things, or befriend Louise. I am no food snob. I've eaten in some of the best restaurants in the world, in hidden dining rooms with a handful of tables, flown to European cities for my tea, driven two days out of my way in America in the name of food, and once made over 1500 redial phone calls and spent £68 on hold to San Francisco. All that being said, I bloody love a 'build your own' fajita. 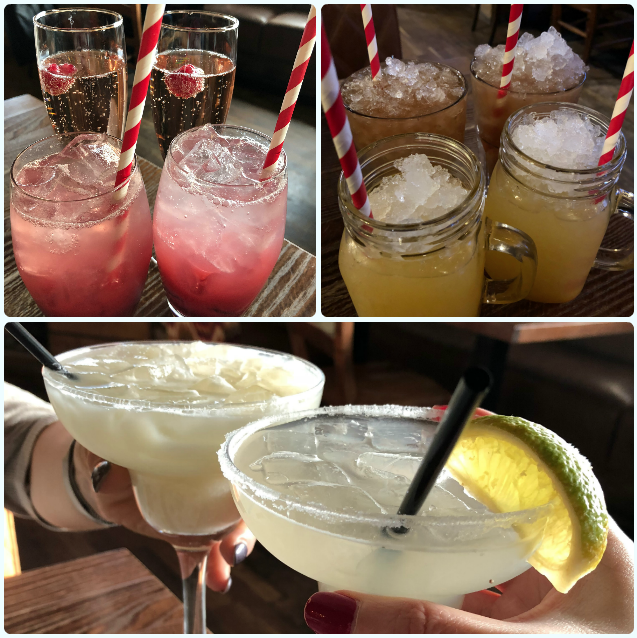 I was recently asked to pop down to my local branch of Chiquito to put them through their paces, which I had absolutely no hesitation in agreeing to! Luckily for me, I have Ellie to assist me in such tough ventures, a role which she takes very seriously indeed. I was stuck in the most heinous of Chorley New Road rush hour madness, but like a true soldier, she got the Margaritas in. Speaking of Margaritas, I want to tell you a little tale about their cocktails first. In the interest of honesty, I imagined their offerings to be similar to those you get on a Canaries all inclusive holiday; brightly coloured, watered down, three umbrellas, and tasting somewhat like radiator coolant. Not so. These cocktails were very pleasant indeed. So much so, we had quite a few, encouraged by our chirpy waitress who was a total cocktail enabler during happy hour. 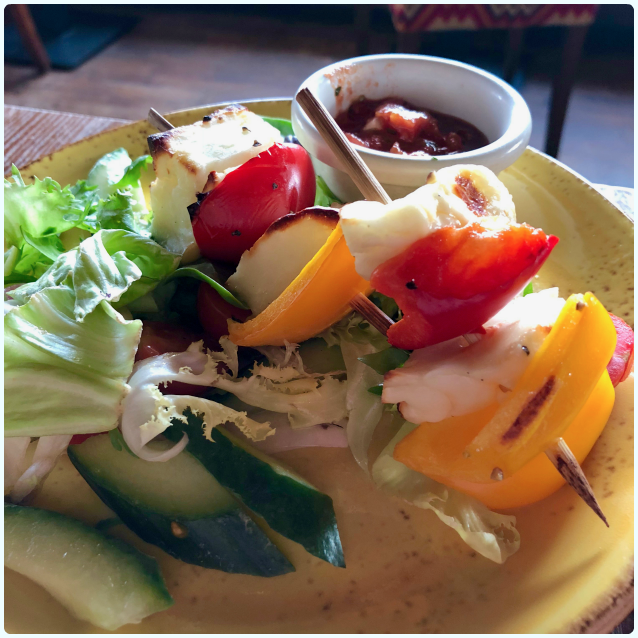 Halloumi skewers - onions and peppers, baked and served over a citrus dressed salad with salsa: Eyes straight to halloumi, as always. 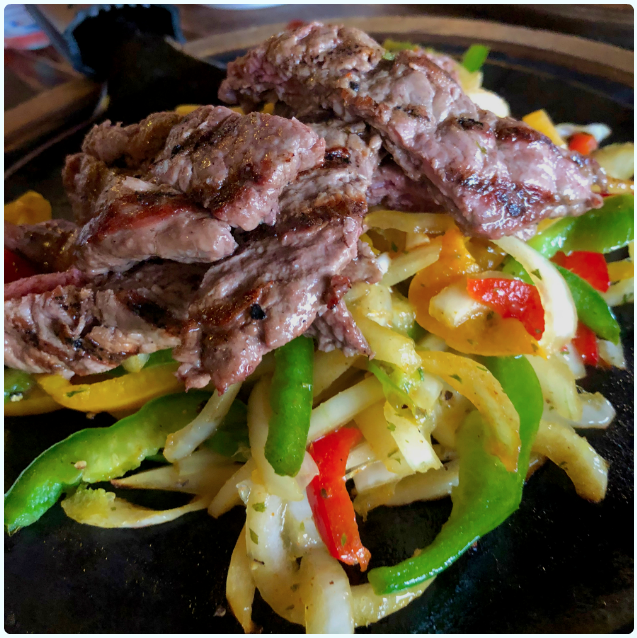 Light and fresh, which is perfect for occasions where you and your dining partner plan to stuff their faces with fajitas and desserts. Presentation could do with a little work if we're being picky, but delicious all the same. Fajitas: These were huge, and came with unlimited wraps (I didn't get through the ones they gave me). These pictures in a dimly lit restaurant really don't do this food justice. 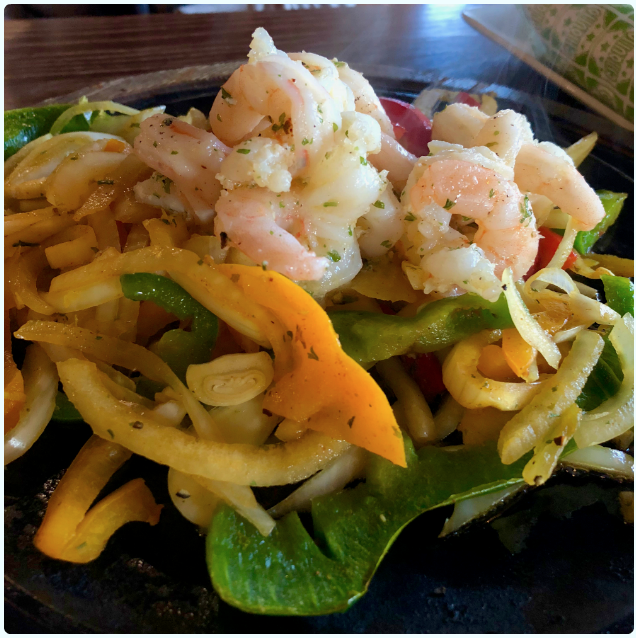 We both had fajitas, so had prawns and steak. They are served with a choice of sides, which come in a little tray on the side. Big fan of these. Bearing in mind that neither of us could finish the fajitas, you would think that most reasonable humans would call it a day. Not us, we battled on. 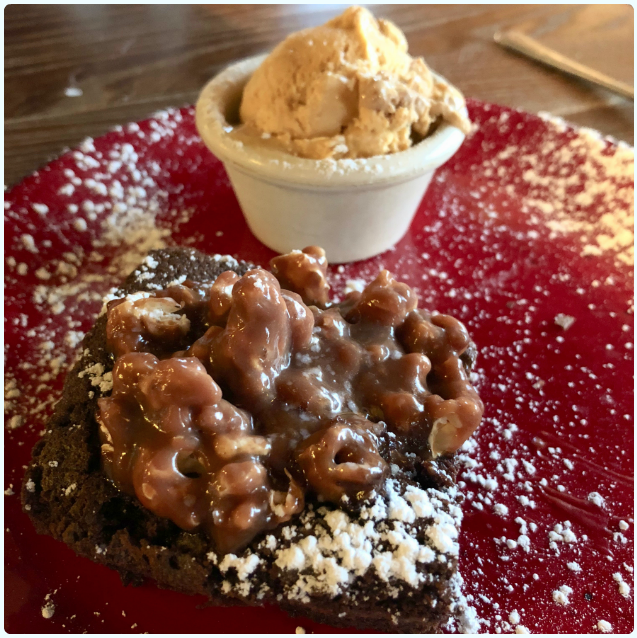 Toffee popcorn brownie - chocolate brownie topped with toffee popcorn and served with honeycomb ice cream: Ellie was massively impressed with this brownie, noting how light it was, and how well the toffee and popcorn flavours went with the chocolate. 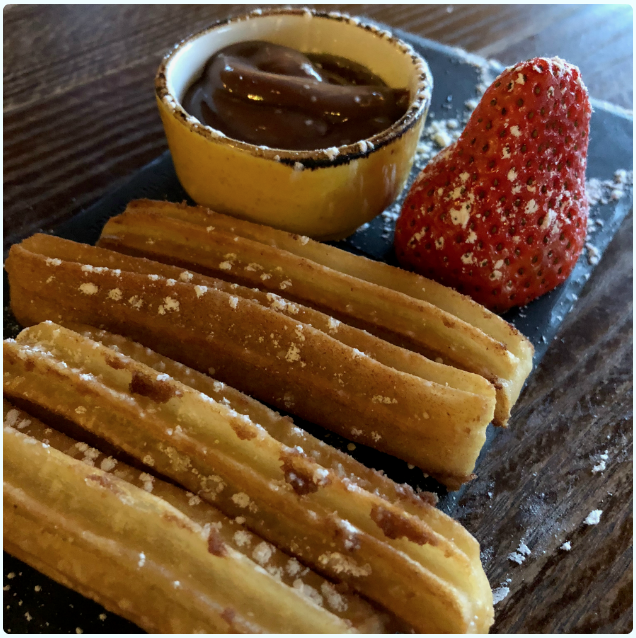 Churros: They are one of my favourite desserts in the world. I rarely go to a Mexican restaurant without ordering these. Who doesn't love deep fried strands of doughnut, dipped in chocolate sauce? Good portion size too, as I often find I'm over-faced with too many, and saddened when I can't eat them. Polished this lot with ease. Do you know what? We had such a nice time. Chiquito might be a well known chain, but they offer value for money, good fresh food, a great range of cocktails, but just as importantly, the staff were lovely. Our waitress gave some great menu advice, and was an absolute pleasure to speak to, despite the fact she was eight months pregnant and dead on her feet. Go here for a midweek feast with friends or family, and enjoy a few cocktails without breaking the bank. 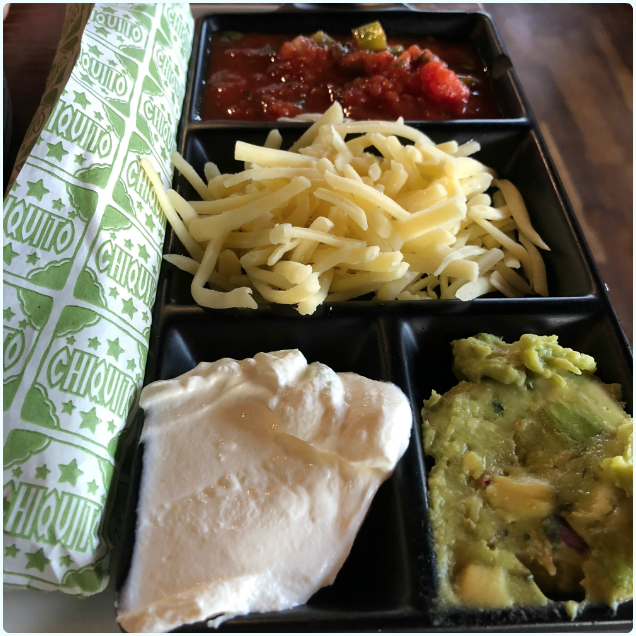 Disclaimer: I was asked to review Chiquito Middlebrook, and given a budget. We put our own money to this because we were having such a good time, we decided not to leave!